Women were first allowed on the London Stock Exchange trading floor in 1973, just a year after Katharine Graham became the first female Fortune 500 CEO. In 2002, Sarah Hogg was the first woman to chair a FTSE 100 company, and in 2018, the International Monetary Fund, the Organisation for Economic Cooperation and Development, and the World Bank all employed female chief economists for the first time. While women have long been progressing into the upper echelons of the business world, the pace of change can still feel unnervingly slow. For instance, while the number of female CEOs at the 350 largest public companies in Europe doubled in the seven years to 2016, the total only rose from two to four percent, according to S&P Global Market Intelligence. And although in 2018 the number of global businesses with at least one woman in senior management reached 75 percent, this still left a quarter of firms with no women at all in top executive positions. A number of systemic forces place extra burdens on women today, including pay discrimination, workplace harassment and gender stereotypes, but in recent decades, another phenomenon afflicting women in the workplace has been identified: queen bee syndrome. A queen bee is defined as a woman in a position of authority who treats the women working below her more critically than the men. While there is no shortage of research into whether women do, in fact, bully one another in the workplace, the cultural context explaining why this happens is often neglected. 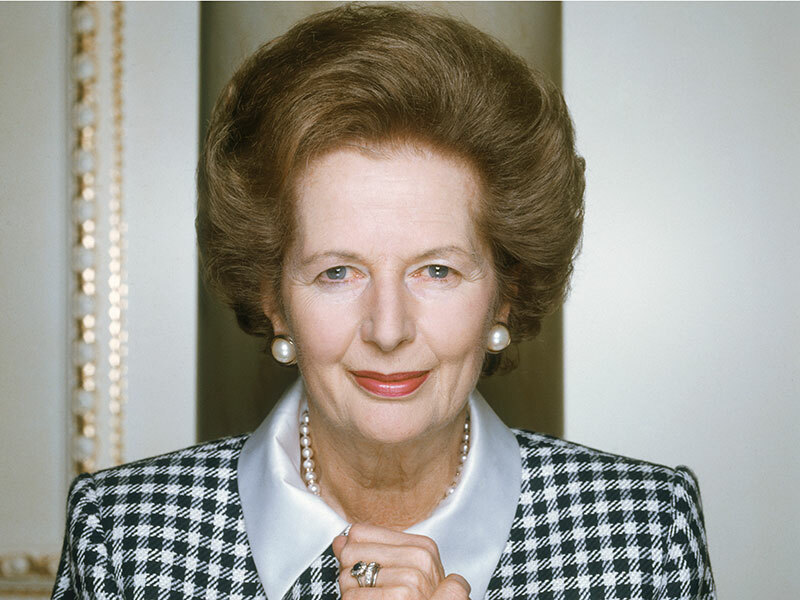 The term ‘queen bee’ has been used in reference to countless powerful women, whether fictional – the cold and calculating Miranda Priestly in The Devil Wears Prada – or historical, such as Margaret Thatcher, the UK’s first female prime minister, who is often labelled a queen bee due to her failure to promote the women in her cabinet. Social psychologists Graham Staines, Carol Tavris and Toby Epstein Jayaratne coined the term in the 1970s while examining the impact of the era’s feminist movement on the workplace. In the decades since, a number of researchers have interrogated the trope of the ‘conniving female boss’. In a trio of recent studies, women consistently reported higher levels of incivility from other women compared with their male counterparts. The research, co-authored by Allison Gabriel at the University of Arizona, found the effect was amplified for women who defied gender norms by being more assertive and dominant at work. A survey of UK women aged 25 to 50 discovered a stunning 70 percent of respondents had been victims of workplace bullying or covert undermining by a female boss. Cecilia Harvey, the fintech consultant and tech entrepreneur who conducted the research, told European CEO it was inspired by her own experiences. While evidence suggests queen bee syndrome is not a myth, as some critics of the term claim, further research into the environment behind the phenomenon reveals a more complicated picture. The very researchers behind the term recently said it had been warped into a sexist stereotype. Speaking to US news outlet Today in 2016, Jayaratne said the expression had been widely misunderstood. “The stereotype of the queen bee has gotten out of control, and it is no good,” he said. People had not taken into account the political and sexist climate that produced the queen bee, Jayaratne explained: “We wanted to focus on the atmosphere that created it.” He added that most women do support each other in business. “For every queen bee, there are a thousand women mentoring women,” added fellow researcher Tavris. In fact, women were more likely to help develop new female talent than men, according to a 2012 study by research and advisory group Catalyst. Nearly three quarters of women were mentoring other women, compared with only 30 percent of men who were mentoring women. “The notion that women executives are queen bees who are unwilling to support other women needs to be put to rest,” Ilene Lang, then-president and CEO of Catalyst, said at the time. A 2011 study titled Do Sexist Organisational Cultures Create the Queen Bee?, published in The British Journal of Psychology, digs deeper still. In examining women in senior roles across the Netherlands, researchers found the queen bee phenomenon was actually a consequence of gender discrimination in the workplace. Queen bee symptoms were most likely to be present in women who considered their gender irrelevant at work but had also experienced a significant amount of discrimination on their way up the corporate ladder. Stuck in an environment where they were devalued because of their gender, these women succeeded by subscribing to masculine gender stereotypes and distancing themselves from other women. “These results suggest that women who show evidence of the queen bee phenomenon do not do so because of their inherent predisposition to compete with other women, but because they see this as a way to pursue their ambitions in sexist organisational cultures,” the research concluded. Moreover, women seeking to advance their careers often find themselves in a double bind: if they do not promote another woman, they are considered a queen bee, but if they do, they are criticised for unfairly favouring women. A white paper from the Centre for Creative Leadership found evidence that female leaders who were keen to promote diversity in the workplace were penalised, whereas men who did the same were seen more favourably. Bullies are bullies, according to Ally Maughan, the founder and CEO of human resources firm People Puzzles. Maughan’s extensive experience in the HR industry verified her belief that bullying is not a gender-specific issue, but comes down to poor corporate culture. “It’s a person who has been allowed to get away with behaviour like that, and the organisation, for whatever reason, has not challenged it and dealt with it,” she told European CEO at an event for women in business held by Vistage, a UK-based mentoring organisation. But merely promoting more women into the upper levels of business will not necessarily lead to increased gender equality in the workplace, a 2018 study published in Frontiers of Psychology warned. As long as the environment in which women advance causes them to distance themselves from other women, queen bees will continue to be born. An environment that allows bullying and sabotage to thrive has been tolerated for too long and has undoubtedly derailed many women’s careers. Gabriel found evidence that women who experienced female-instigated incivility reported less satisfaction at work and increased intentions to quit their jobs in response to their experience. According to Harvey, three things must happen to exterminate queen bees: organisations must recognise queen bee syndrome as a form of bullying and address it; queen bees must recognise their behaviour and get training to change it; and women at all levels must support each other in the workplace. Overall, business leaders can make the most profound and lasting change. Managers must work to create and nurture a workplace culture that values and treats women and men equally, or else risk breeding a fresh swarm of queen bees.